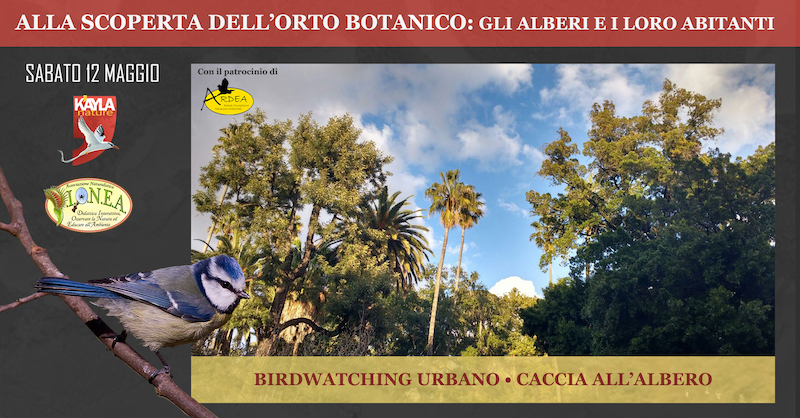 A morning dedicated to urban biodiversity within the Botanical Garden of Naples. Accompanied by an expert, we will discover the importance of the Garden and its trees for the birdlife, a nesting site for many species but also a stopping point for migratory birds. A real green oasis between asphalt and city buildings! Moreover, the naturalists and botanists of the DIONEA Association will take you along an educational path among the most important trees of the Botanical Garden of Naples. A team game that will involve adults and children, through the recognition of the various types of leaves and stems.